I’m sure you’ve heard it before, but not all heroes wear capes. And it really is a true statement. 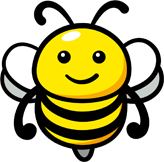 There are incredibly kind and selfless human beings all over the world that put others before themselves and risk their own lives to help somebody else. But when we heard about this story, we were astonished. One man truly put his life at risk to save an animal in danger. We don’t recommend you try this at home but we’re glad this man saved this creature’s life. 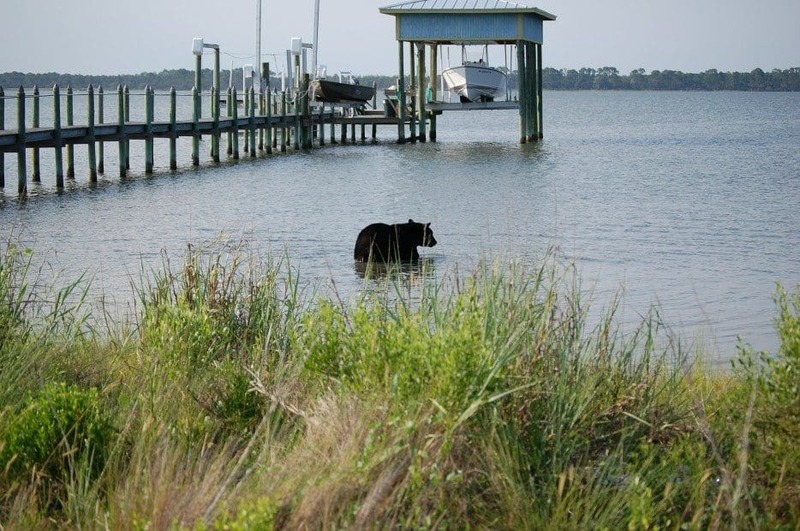 The wildlife experts from the Florida Fish and Wildlife Conservation Commission were alerted about a bear that was seen wandering around a neighborhood area. The team answered the call and worked hard to get the animal back to his natural habitat. They shot the bear with a tranquilizer gun to try and make the rescue more manageable. 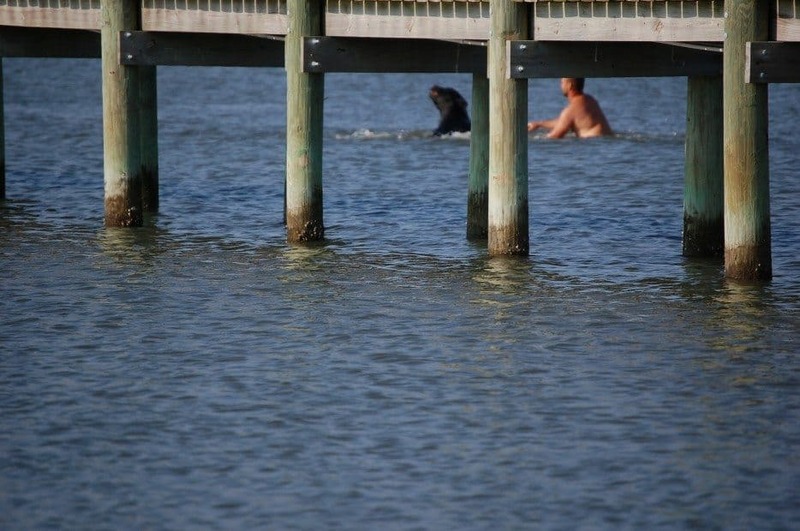 However, things took a shocking turn when the bear panicked and jumped into the water. As the bear tried to swim away, they noticed that the effects of the tranquilizer dart had started to kick in and the bear was starting to fall asleep. The drowning bear was now in serious danger. At that moment, the rescue team realized the severity of the situation. If they didn’t act fast, the bear would drown in the water. As the bear continued to swim, they noticed it’s head swaying and dipping in the water. Just when they thought all hope was lost, a brave man stepped forward. 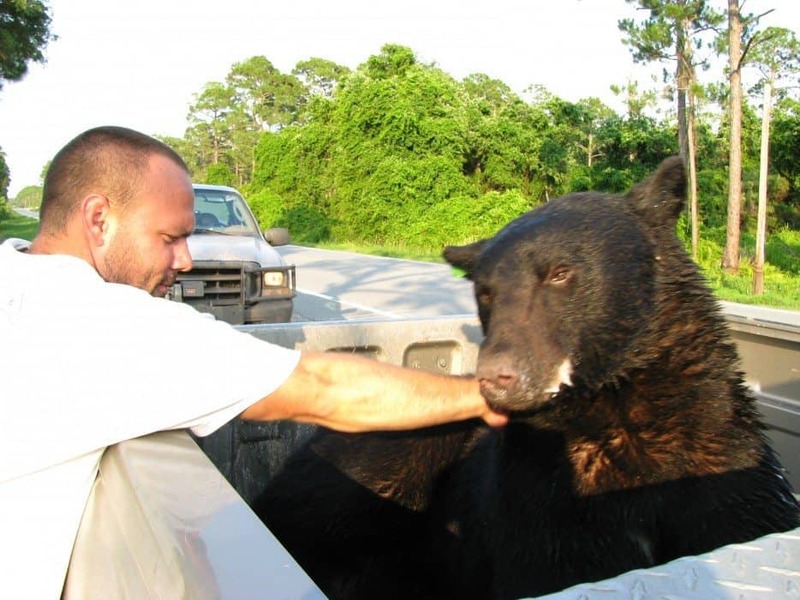 Biologist Adam Warwick dived into the Gulf of Mexico and he started swimming towards the drowning bear. I just wanted to try to get in front of him and keep him from swimming out there and drowning. People couldn’t believe that Adam was putting his life at risk to try and save this giant drowning bear. At this point, the bear was still semi-conscious and could have easily mauled Adam. I got in front of him, tried to create some splashing and some commotion and tried to get him to go back to shore. But he wasn’t having any of that. The scariest part was probably when he decided — he started looking at me as if he wanted to climb up on me to keep from drowning and, at one point, he reared up on his hind legs, so I’m looking at a six-and-a-half-foot-tall bear. Instead of lunging forward, he fell straight back and was submerged for a couple of seconds and, that’s kinda when I moved in. 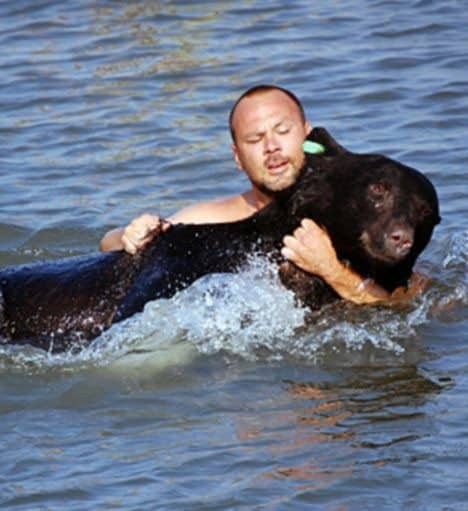 When Adam got near the 375-pound bear, he managed to grab hold of him and dragged him to shore. He kept one arm under the bear’s head to keep it above the water. The bear was then taken to the Osceola National Forest where he was looked after and safely returned. Meanwhile, Adam had only suffered a minor cut to his foot and a single scratch from the drowning bear. We’re just glad both of them are doing well. Adam, you are a hero!